The World Championships in Bergen, Norway were a great spectacle this year. It’s still hard to believe that last year, the UCI decided to hold their flagship event in a desert. But, it was good to see a transformation this year with a beautiful backdrop and enthusiastic, well-behaved crowds. It really adds to the spectacle, and let’s be honest often, for a long time not very much might happen in a cycle race. A few weeks ago, I received a review copy of Chris Boardman’s autobiography. This week I got around to reading and enjoyed the book. In terms of cyclist autobiographies, this ranks quite highly. It is interesting story, with many different aspects of cycling from domestic time trials to wearing the yellow jersey in The Tour de France. 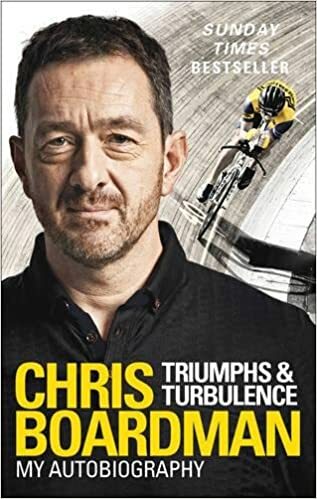 As well as his cycling achievements (and failures) you get a glimpse into the personality of Chris Boardman, and perhaps what he has learnt in life. There is a degree of humour and honesty which make the book an enjoyable read. If I had to choose a cyclist from that period of cycling who I genuinely admire, Chris Boardman would be near the top of a very short list. There is also the added interest of the fact that I can relate strongly to his early career (riding domestic time trials and hill climbs) I have followed Boardman’s career from the epic time trial battles with Graeme Obree reported in “Cycling Weekly” to his emergence as a sane and powerful advocate for better cycling on British roads. If any cyclist epitomises the spirit of British cycling it is Chris Boardman. Domestic time triallist, multiple national champion – from national hill climb to national 25 mile TT competition record holder. Olympic track cyclist. Gold medal in 1992 Barcelona Olympics (Britain’s first gold on track for 72 years). Three times world hour record holder. Multiple world champion on road and track. First British wearer of yellow jersey since Tom Simpson in 1968. This week I have been ill (again) so took advantage of the ability to watch some stages of the Tour de France on TV, from start to finish. I’m not sure whether it is actually a good thing to have the whole stage on TV, there are only so many French chateaux you want to see per day. Even the most ardent cycling fan can get bored of a few hours with the peloton plodding away. At least this week, there were none of the completely flat 200km stages. Some individual stages were quite interesting and, even if the GC battle didn’t completely fire on all cylinders, at least the small time gaps were sufficient to give hope. I like seeing French riders do well, and it was a good tour for the French, who have the most exciting crop of new cyclists. This year Froome showed fewer signs of invulnerability, and a future French winner in a few years looks a real possibility. Whether it is Bardet, Barguil, Lilian Calmejane or Pierre Latour – they have a lot to choose from. L’Equippe evaluated that if you only included the mountain stages, Froome would have finished 3rd. With the winner being Uran or Bardet (can’t remember which). In the last time trial, Bardet did look completely out of place fighting his time trial bike up the steep hill; from my armchair, he looked more like a club rider doing the Buxton Mountain Time Trial – than a Grand Tour winner. Chris Froome went up the climb like he was completely in control. After the stage, Steve Cummings admitted he thought his team had got their gearing wrong and were over-geared making the climb too difficult. It seems such an elementary mistake of getting the wrong gearing is something that every team is capable of – every team – except Sky of course. Whatever you think of them, they always seem to be the best prepared. Though it does help when you have the talent to go with logistics. You could have had a pretty good Tour de France GC battle, just between members of Sky – Geraint Thomas, Mikel Landa, Michael Kwiatkowski all seem to have the capacity to win a Grand Tour. In the end, Bardet’s dire time trial (dire in relative terms, of course) was just enough to keep the podium place by one second. If Sky’s Landa had pushed the Frenchman off the podium at the last minute, the atmosphere might have soured even more. Not that it seemed to bother Froome. In responding to the challenges of a Brit riding in France, Froome frequently shows a degree of emotional intelligence and maturity which is rare in top sportsman. Another sportsman may have been peeved, but to his credit, Froome laughed it off as inconsequential. It is an attitude which gains the admiration of many – maybe even the French on the quiet. To put in perspective, Merckx and Anquetil (a Frenchman) both were booed – their crime to be the dominant rider of their generation. I think Bardet should come over to the UK for a few months and learn how to ride time trials. A few times up and down the V718, getting beaten by 45-year old amateurs and he might learn to keep his head in the right place. The other interesting thing is whether the organisers of the Tour de France would dare to remove all flat time trials and make it a tour for the French climbers? Looking forward to 2018, there is a bewildering range of possible challengers to Froome. Nairo Quintana (who presumably will not do another four Grand Tours in succession. Warren Barguil. Whose ability to climb away from GC riders on the last stage was quite impressive. Dan Martin (maybe doesn’t quite have the legs, but he deserves to be up there for his attacking attitude. There are even possibility of riders who won’t be able to challenge because they are super-domestiques, a la Geraint Thomas and Kwiatkowski. I enjoyed watching the Tour de Yorkshire – recognising roads often cycled on, huge crowds, familiar climbs and quite a few local riders I have raced against at different times. People say the crowds are as big as Liege-Bastogne-Liege but the last time I watched Liege-Bastogne-Liege, I didn’t see any crowds on the scale of Yorkshire. I spent more time watching Tour de Yorkshire than the Tour de France. On Saturday I enjoyed seeing Lizzie Deignan and Anne van der Breggen fly up the Cote du Lofthouse, that was a good race. The third stage on Sunday was great because it went past my old school Bradford Grammar, up Hollins Hill and past Menston all the way to Burnsall. 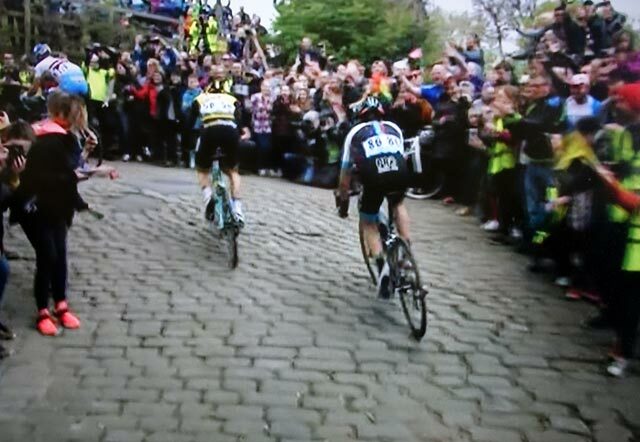 Yesterday, there was tremendous interest in the page on Shibden Wall – the 21% cobbled climb. 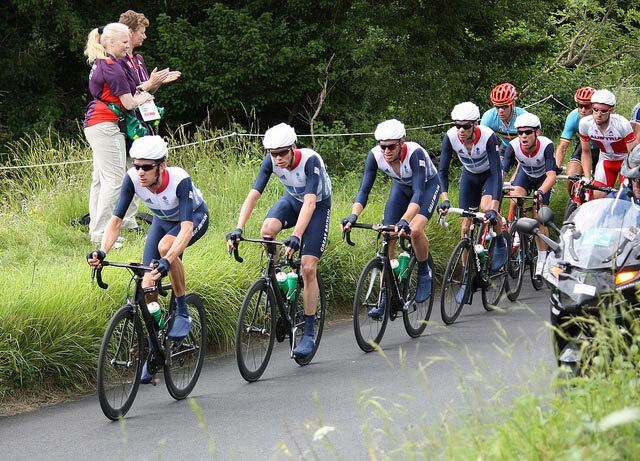 Watching tv, I thought the Peleton weren’t going at full flight on Shibden Wall – perhaps not but when I saw the times on Strava I knew that looks can be deceptive – it was still pretty quick. I have ridden it once and now want to go back and have another go. In the end, after 10,000 ft of climbing, it was a good finale to the race with Serge Pauwels hanging onto a slender advantage and taking the first win of his pro career. I took some shots of my tv, but it doesn’t do justice to some of the crowds in the road. I’ve had a few injury niggles this week so haven’t been able to do as much cycling in Yorkshire Dales as I hoped. Cycling has mainly involved pottering along to Bolton Abbey, I’m getting a bit restless to do some hill climb intervals – I haven’t really done much this year. But, although it’s frustrating to take it easy and dns for a race today, there is considerable compensation in watching the Olympics. Great Britain has made a great start to the velodrome; in fact to an outsider it can appear winning a gold medal is almost taken for granted, but GB men’s sprint team was 15/1 at the start of the games. The last time they won a major championship was in 2012. Chris Hoy makes a good person to have in velodrome. He is is articulate and passionate, with a certain gravitas – not always present with BBC presenters. Though, last night, he kept looking over his shoulder trying to watch the racing going on behind – rather that answering endless questions on Bradley Wiggins’ frame of mind. I must admit I would have rather watched the racing too. Still in the end, the 4km pursuit final was a real epic contest. Defying the pundits predictions, Australia ran GB very closely. When the third man of GB got slightly detached on the last lap, it was really touch and go. 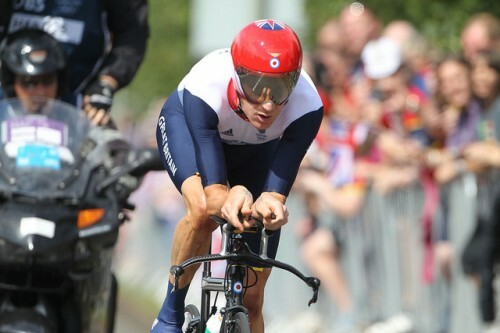 It was an epic moment of the Olympics, for both Wiggins’ 5th gold medal, but also the closeness of the contest. It was interesting to hear the real confidence many in the GB squad have in themselves. After losing the worlds in March (by very small margin to Australia), Bradley Wiggins seemed utterly confident in saying “But, we will definitely win the Olympics”. If it had been someone else, it may have come across as bravado, but it was said with the real conviction, that they knew more was to come. The mens road race was a spectacular and dramatic event. Over six hours, the intensity gradually increasing to a dramatic final conclusion hour of racing. Yesterday’s Prudential Ride London Classic was another great bicycle race. 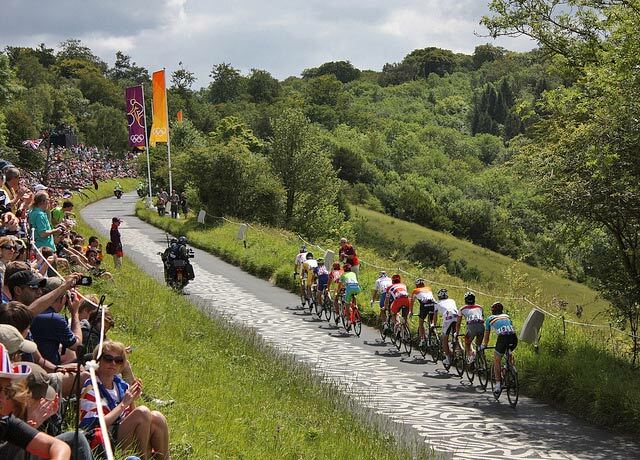 The course doesn’t look too much, a few short sharp climbs, Box Hill and then 50km of flat to the finish. 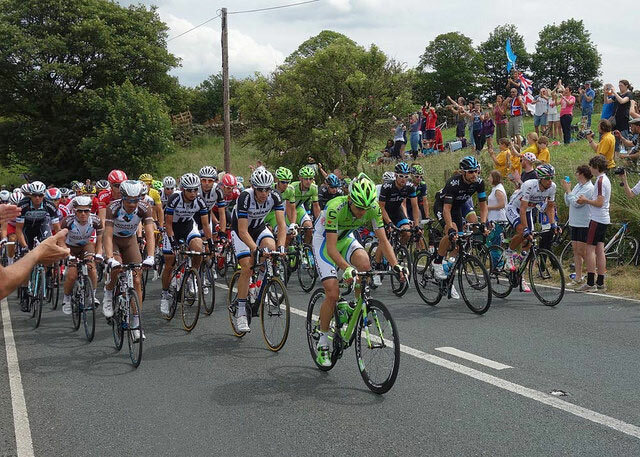 On paper it looks a boring sprint stage in the Tour de France. 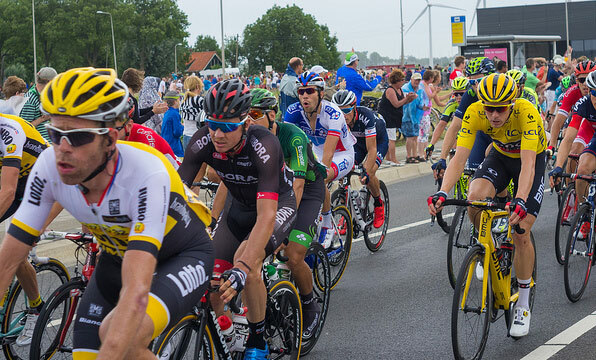 If it was the Tour de France with nine men teams – that is exactly what it would be. But, because there are only 6 man teams, it’s much harder to control so it encourages attacking racing. Usually, the key breakaway goes on last or second to last climb. But, this year Team Sky launched an attack about 80km out. Thomas, Stannard and a Cannondale rider managed to link up with the lead breakaway and it seemed a tactical masterpiece. It was a great Tour de France. Nearly every stage was interesting, with full on racing the whole way through. I seem to remember years when half the Tour de France was predictable, flat sprint stages, which only came to life in the last 10km. 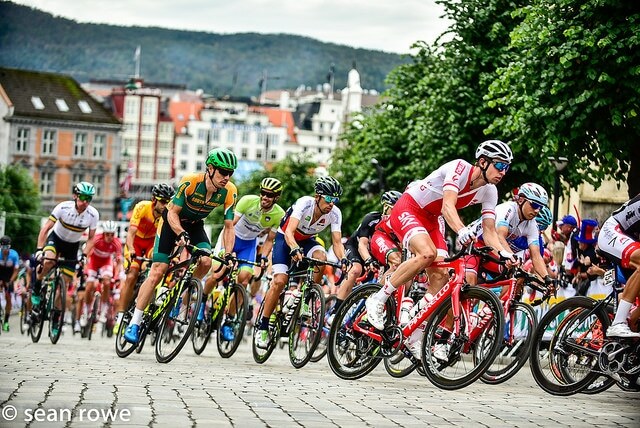 The sprinters union may complain the tour has been ridiculously hilly, with relatively meagre pickings for the likes of Cavendish and Griepel, but for the viewer – classic style one-day races (cobbles, side winds and short sharp climbs) do make for intriguing and interesting racing.